Spring Festival in China. Since two days in Panyu/Guangzhou, wonderful weather, friendly and happy people, seasonal spirit all over the place. Finally a dream came true. 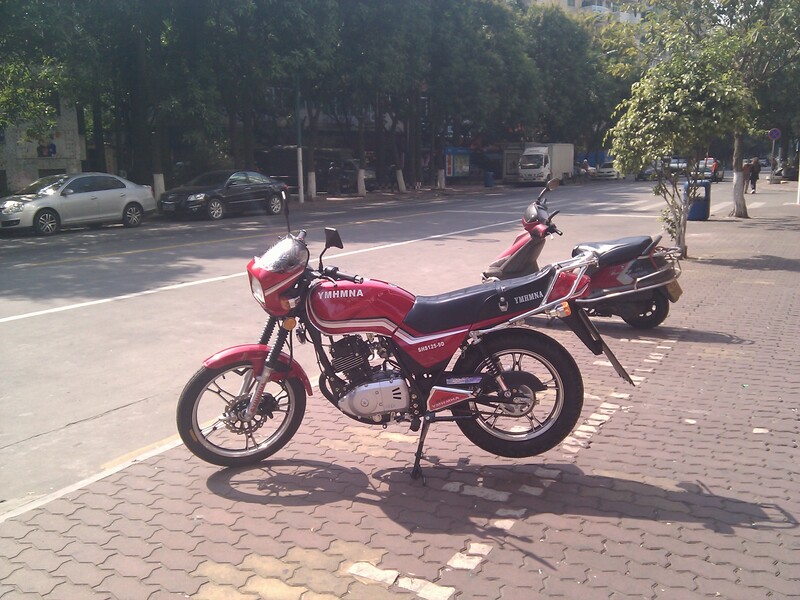 Roughly 20years ago I sold my much beloved Yamaha RD 350 as money was needed so painfully for studies. Ever since desire never really vanished. It lurked for this one day, yesterday. On the road again. Mercy has it, it is a Yamaha, or at least something close to it, that picks up great legacy. The new treasure is named *YMHMNA*. And isn*t it a beauty of some kind? Dieser Beitrag wurde am Januar 30, 2011 von tmb in Random Thoughts veröffentlicht. Schlagworte: China, YMHMNA.